You are currently browsing the tag archive for the ‘renovation’ tag. 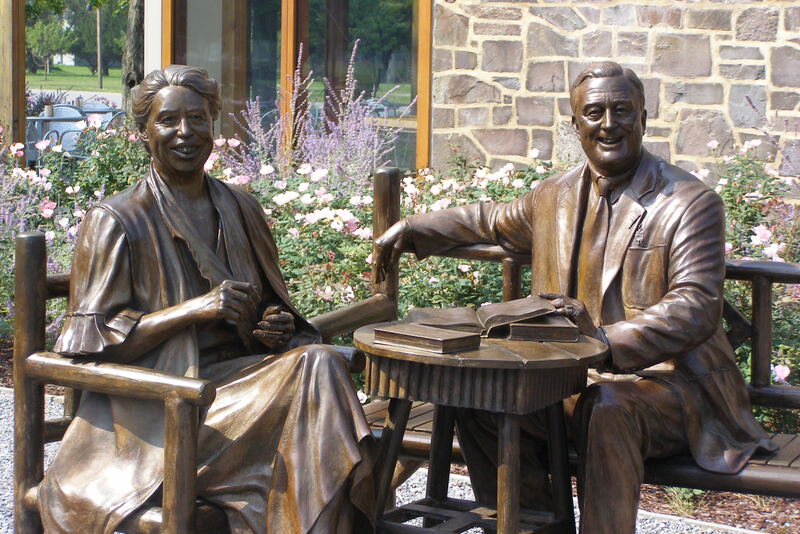 2013 was an amazing year for the Franklin D. Roosevelt Presidential Library. The three year renovation of the Library building was finished in March. We moved the archival collections, research operations, and archival staff offices back into the renovated Library from the Wallace Visitor Center where they have been located since summer 2010. In April, we brought 164 pallets of additional materials back to Hyde Park from the George W. Bush Library warehouse in Texas where they were housed during our renovation. Our 35,000 museum objects were safely tucked into their new museum storage rooms and our museum staff moved for the final time into their new office spaces. Throughout the entire renovation process, the Roosevelt Library never closed its research room to researchers and always made sure our visitors had exhibits to see. We completed work on the final design, fabrication, and installation of the Roosevelt Library’s new 12,000 square foot permanent museum exhibition. In addition, we developed a system of directional signage for the new exhibits and moved all of the original furnishing from FDR’s Study back into place prior to the reopening of the new galleries. The Library’s new permanent exhibition opened to great critical acclaim on June 30, 2013 and Museum visitation since the opening date has risen dramatically. All of our renovation work and our exhibit development and installation were on time and on budget. 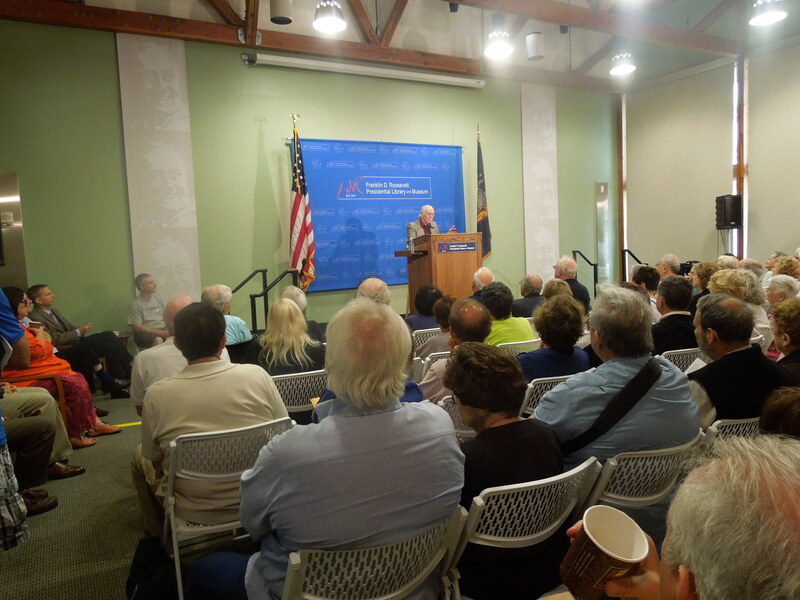 We also celebrated the tenth anniversary of the Henry A. Wallace Visitor and Education Center on November 15th. Before we had this wonderful building, we sold tickets out of a shack, we hid our Museum Store in the Library basement, and we had no space for Education and Public Programs. Through an amazing partnership of federal funds and private money raised by the Roosevelt Institute, we took an empty piece of land and built an amazingly versatile and beautiful building. As we built this, we promised the community that it would become a part of their lives. And I am happy to report we have been successful in achieving that. In the past 10 years, over 100,000 people representing over 1200 organizations have used our meeting spaces, over 150,000 students have learned about Franklin and Eleanor Roosevelt in our Multi-Purpose Rooms and over one million visitors have enjoyed the wonderful amenities, taken pictures with our Franklin and Eleanor statue, and marveled at the beautiful mosaic map in the lobby. And on December 4th we introduced the birth of FRANKLIN. Whether you are a lover of history, a student working on a school project, or a scholar, FRANKLIN allows you to keyword search for archival documents and photographs and to search, browse, and view whole files, just as you could if you came to the Library’s research room in-person. Now available online are some of the most important documents of the twentieth century — primary source documentation of Franklin and Eleanor Roosevelt’s experiences leading the nation through the Great Depression and World War II. 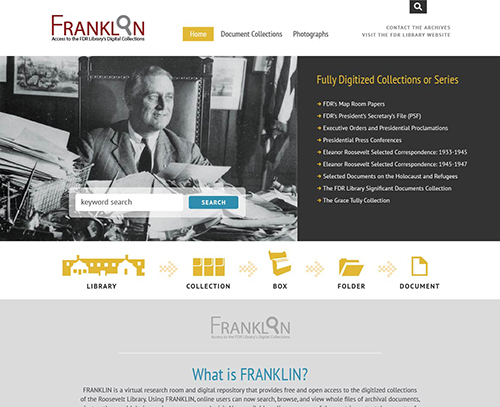 FRANKLIN launched with 350,000 pages of archival documents and 2,000 historical photographs. FRANKLIN is the result of a special cooperative effort — a unique combination of public, nonprofit, education and corporate support. 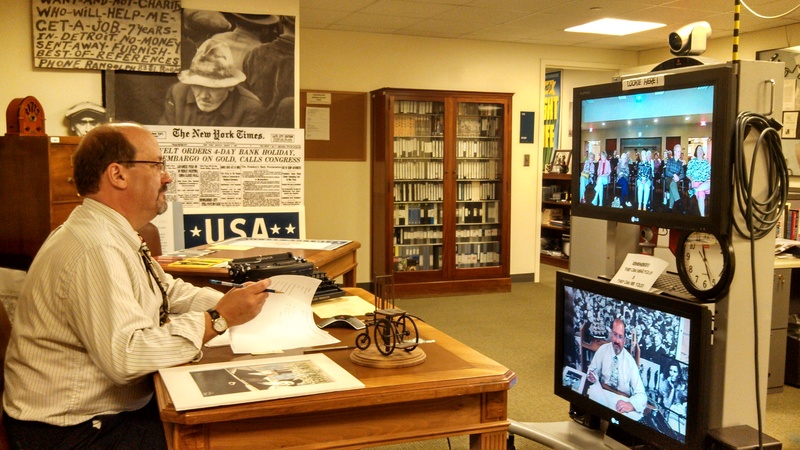 The Roosevelt Library and its parent agency, the National Archives, worked with nonprofit partner the Roosevelt Institute to digitize a large amount of microfilmed archival documents. The Library’s digital partner and web host, Marist College, then developed and implemented FRANKLIN’s underlying database infrastructure. Marist runs the system using powerful servers manufactured by Marist and Roosevelt Library corporate partner, IBM. During 2013 our education department provided programming for almost 15,000 students from second grade to elderhostel, conducted more than a dozen teacher workshops, for over 400 teachers including week-long workshops for teachers from New Orleans and Missouri. We expanded our Distance Learning Program (video conferencing) conducting over two dozen sessions, for more than 500 students and 50 teachers. Paramount to our education efforts was the recreating of education programs and materials for the new museum galleries. We created a 16 page Fala booklet to guide younger children, a New Deal and WWII focused guided note taking tour of the exhibits, and a series of civic holiday activity sheets for young museum visitors. And all throughout the year the Library produced exciting and innovative social media and web feature content to celebrate our accomplishments and inform our audiences worldwide. Particularly successful was our 100 Days countdown to the grand reopening of our museum which resulted in an extraordinary increase in social media followers – most notably almost 50,000 new followers on Tumblr. None of our successes would be possible without the creative and energetic Roosevelt Library staff, the support of our National Archives family, the dedication of the Library Trustees, the generosity of the Roosevelt Institute, and the interest and support of our visitors, social media friends and followers. We look forward to sharing a happy, healthy, and peaceful 2014 with you. 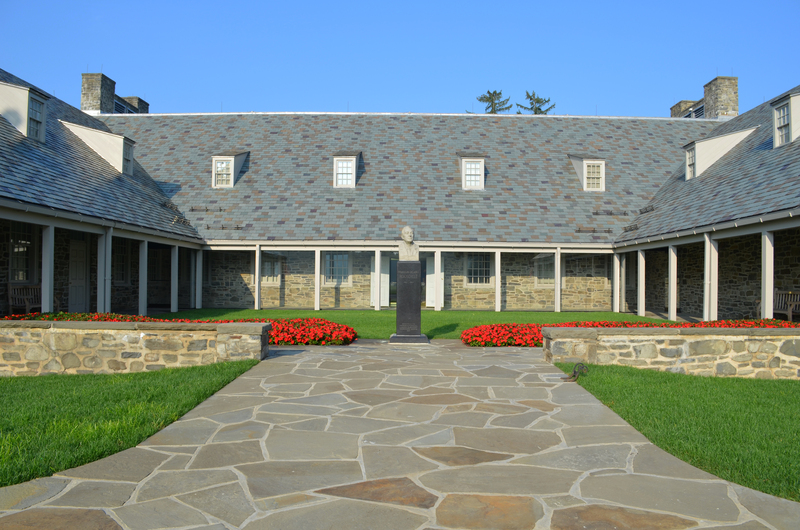 On Sunday June 30th, the FDR Library was rededicated after the completion of a three year renovation of the library building. The rededication weekend included the unveiling of new museum exhibits. The renovation project that began at the Franklin D. Roosevelt Presidential Library and Museum in 2010 is the first renovation of the Library building since it opened to the public on June 30, 1941. It is also the first complete renovation of any presidential library. While it will not change the historic exterior of the building, the project brings its infrastructure up to National Archives standards for the long-term preservation of historic collections. The renovation also includes an exciting new permanent museum exhibit that delivers “A New Deal to a New Generation”. From the beginning of the project, our two major goals were that we always had something interesting and significant for our visitors to see and that we never close down researcher operations. As wonderful and exciting as the renovation has been, the work has placed enormous challenges on the Library’s entire staff. We relocated staff and we moved 35,000 museum objects and 17 million pages of documents multiple times to accommodate renovation phasing. We moved research room operations into our Visitor Center and never closed to researchers and there were always museum exhibits for the visitor to see in the midst of demolition. We continued to loan museum artifacts and never missed a deadline on our many obligations to internal and external customers. And we tweeted, facebooked, and blogged about our adventures. 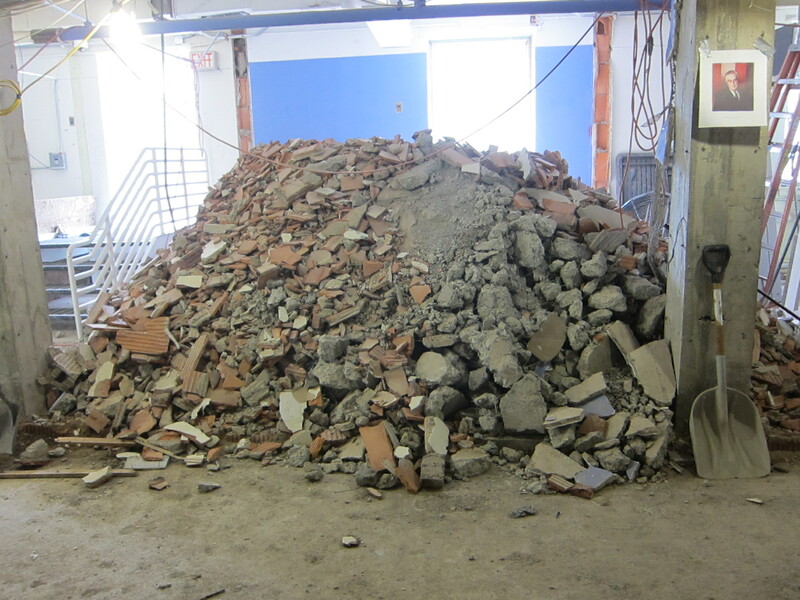 At the beginning of the project in 2010, the Library’s archival staff and collections had to completely vacate the Library building to make way for the renovation. The archives staff coordinated the packing and move of offices, researcher operations, and most of the Library’s historical materials to spaces in the Wallace Visitor Center (and back again) without ever closing to researchers. Additionally, nine tractor trailer loads containing 162 pallets of additional books, audio-visual materials, and ephemera were shipped to warehouse storage in Texas. 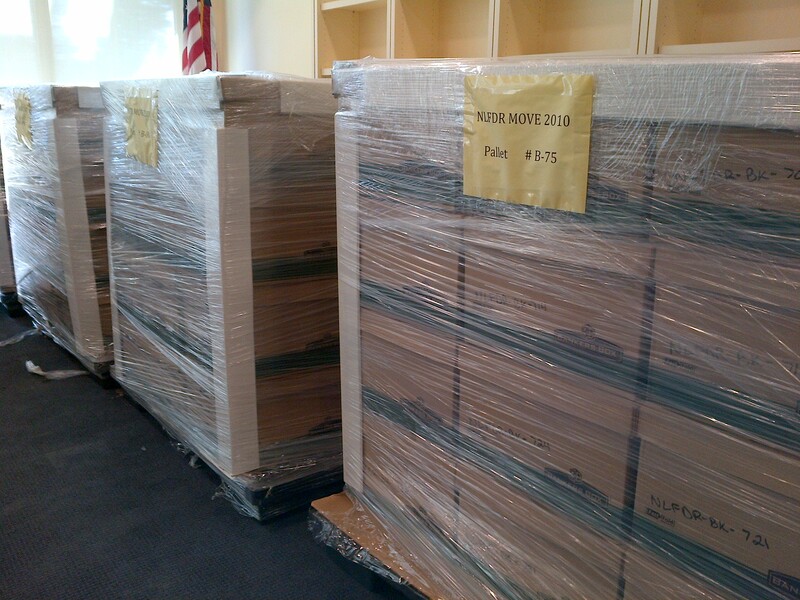 Throughout the moves, the archives staff continued to respond to research requests, assisted other Library program areas, and expanded digital and online content for the Library’s website and social media platforms. The Library’s museum staff and collections remained within the Library building throughout the renovation, requiring the move of staff and collections multiple times to accommodate the project’s various phases and the endurance of renovation noise and vibration. 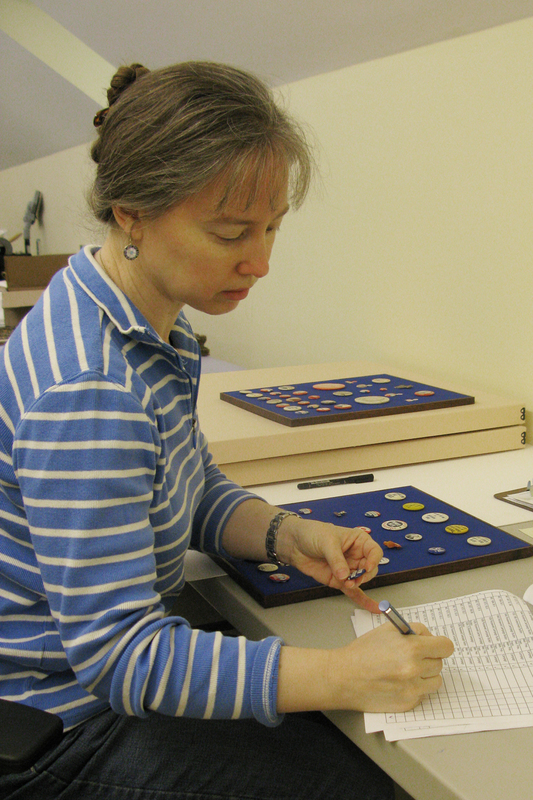 Additionally, the staff continued its collection re-inventory project, responded to requests for information, loaned museum objects, designed and installed an outstanding temporary photograph exhibition for museum visitors to enjoy during permanent gallery renovation, and designed and oversaw the fabrication and installation of the Library’s new permanent exhibitions. Despite also being displaced from their offices during the renovation, the Library’s administrative and facilities staff continued to meet or exceed reporting and financial deadlines, kept visitors informed of changes in services, directed questions or issues about the renovation to the proper Library officials, oversaw staff training, supervised upgrades to computer hardware and software, and implemented changes to timekeeping and accounting systems. Meanwhile, the Library’s New Deal Museum Store and ticketing operations staff stabilized the Library’s revenue stream during the project by ensuring that the public was fully informed of the opportunities to experience the Roosevelt site during the renovation and by providing a full line of new and quality store products to extend the visitor experience at home. Finally, throughout the renovation the Library’s public programs and education staff managed all visitor notices, signage, and publicity relating to the renovation. 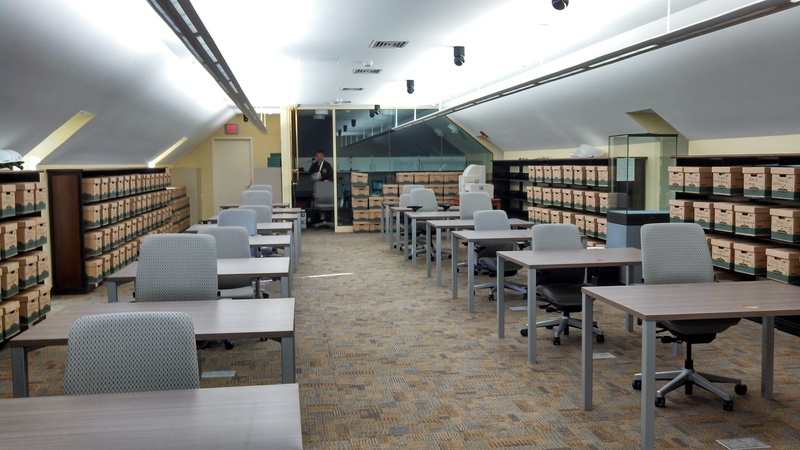 The programs staff prepared the Wallace Center storage spaces to accept the archival collections and reconfigured many aspects of programs and facility use operations to accommodate necessary changes. They also redesigned education programs to complement the temporary photograph exhibit. 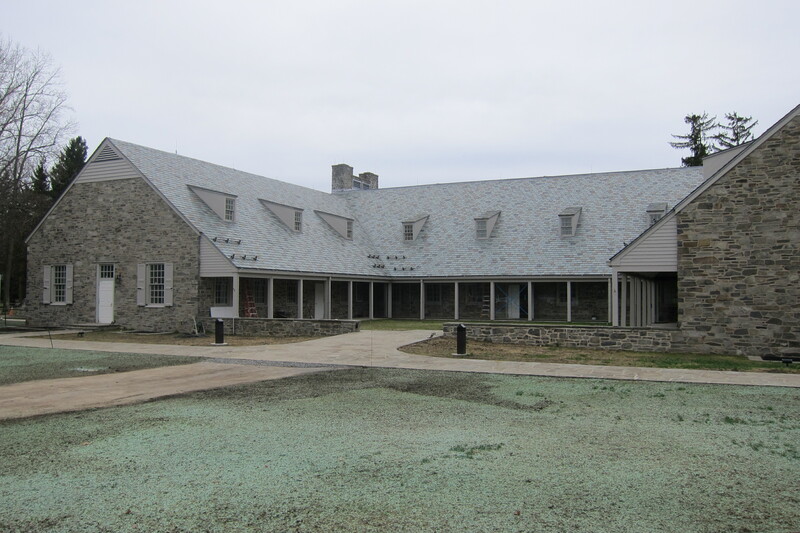 In the last phase of the renovation the programs staff designed and developed new programs, visitor experiences, and marketing strategies to prepare for a seamless transition from renovation-to-rededication on June 30, 2013. The Roosevelt Library staff has been bold and persistent throughout our renovation. They have had to experiment and just keep trying. And their teamwork, collegiality, and pride in their collective accomplishment and our mission have made the Franklin D. Roosevelt Presidential Library and Museum truly a great place to be. We look forward to our rededication and the opening of our new permanent museum exhibits on June 30, 2013. Today is a day of mixed emotions. We are closing the permanent exhibits at the Roosevelt Library to turn the spaces over to our general contractor for a much needed renovation. 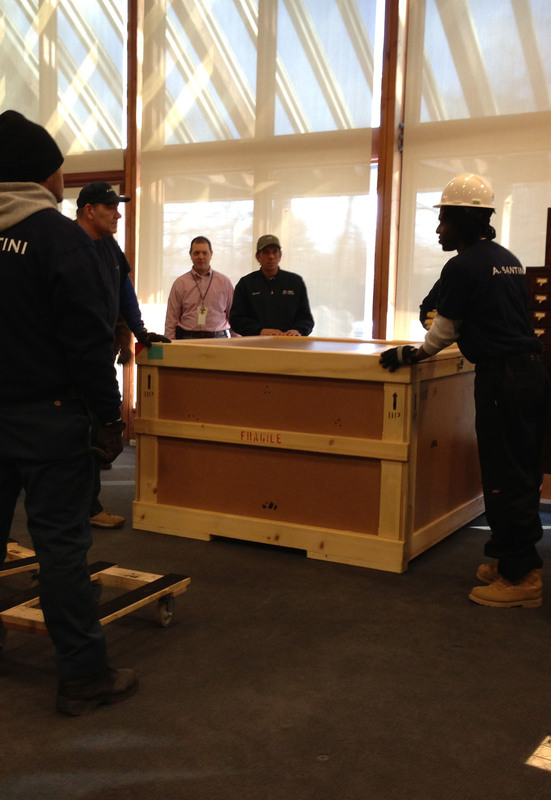 And immediately following that work an exhibit fabricator will start to install a brand new permanent exhibit. Some of our current museum exhibits have been in place since 1972. An alarmingly long time for any museum exhibit so the prospect of change is exciting. But for many, those exhibits are like old friends. In my very first job at the Library in 1972 I was a part time archives aide and pressed into service assisting the museum staff as they worked to complete the First Fifty Years Gallery. The exhibit was done completely in house and my job was to paint the paper we were using for exhibit labels. After the tan color paint dried I would roll the paper into a typewriter that had a special ball with a large size font. Then I very carefully typed the label copy on the paper and cut it to fit into its wooden frame. It was a long process and one mistake sent you all the way back to painting more paper. You can bet I will be grabbing one of those original labels for my memory box before the demo crew comes through. In the last 40 years I have taken so many people through our exhibit spaces; heads of state, celebrities, journalists and countless tourists who just looked a little lost as I was passing through the galleries. I was often late for meetings because I had stopped to point out something interesting in the exhibit to one of our visitors and a brief stop turned into a mini tour. What can I say—I love the place and I love showing it off! So we bid a fond farewell to an amazing chapter in the Roosevelt Library’s history. And in the same breath we proclaim the coming of a new and powerful permanent exhibit opening in late summer 2013. New state-of-the-art installations on the life and times of Franklin and Eleanor Roosevelt will tell the story of the Roosevelt presidency from the depths of the Great Depression and continuing through the New Deal years and the Second World War, while also covering their early years and FDR’s heroic struggle to regain his strength and political career after polio. Concluding galleries will consider the Roosevelt legacy today and guide visitors through Mrs. Roosevelt’s work in the years following the President’s death. 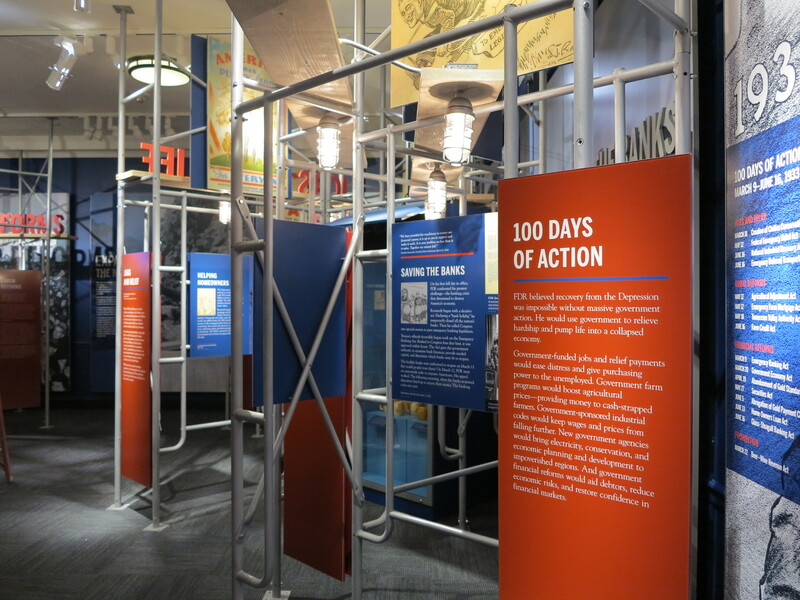 The exhibit features special interactives and audio-visual theaters designed to bring the new deal to a new generation. And in the meantime from spring 2012 to late summer 2013—while our permanent exhibit galleries are closed for the final stage of the Library’s renovation—the Franklin D. Roosevelt Presidential Library and Museum is presenting the largest photography exhibition ever assembled on the lives and public careers of Franklin and Eleanor Roosevelt. “The Roosevelts: Public Figures, Private Lives,” is a new and very different kind of exhibit that takes visitors on an immersive photographic and film journey through the lives and times of the Roosevelts. The exhibition features nearly one thousand images that vividly depict both their public and private lives. These photographs include famous and familiar images, many reproduced in dramatically large formats. But the exhibit also presents visitors with new visual perspectives on the Roosevelts through large numbers of unique and rarely-seen personal photographs from the unparalleled photographic collections at the Roosevelt Library. Shot by family members, friends, government officials, and other insiders, these images offer fascinating views into the private lives of Franklin and Eleanor Roosevelt and their family and political associates. The highlight of the exhibit is a multimedia presentation featuring original audio recordings of Eleanor Roosevelt speaking about her family life. One of our primary goals throughout the Library renovation has been to keep the Museum open to the public. This new exhibit was designed by our museum staff to serve not just as an interim exhibition but also a once-in-a-lifetime experience for our visitors. Never before have this many photographs of Franklin and Eleanor Roosevelt been assembled in one place. If a picture is worth a thousand words just imagine the story 1,000 photos can tell. I would be remiss if I did not acknowledge the enormous support of the Roosevelt Institute, the Library’s private partner. They are providing all of the financial support for the design and installation of the new permanent exhibit and our temporary exhibit. We owe so much to their Board of Directors led by Anna Eleanor Roosevelt and their amazingly supportive staff led by President and CEO Felicia Wong. The Roosevelt Library owes its biggest gratitude to Ambassador William J. vanden Heuvel and his outstanding leadership in the revitalization of the Roosevelt Library. Many years ago he accepted the enormous challenge of raising millions of dollars in support of building a new Visitor Center and new permanent exhibits. He, along with Anne Roosevelt and the Roosevelt Institute Board, was also instrumental in securing congressional funding for the building renovation. 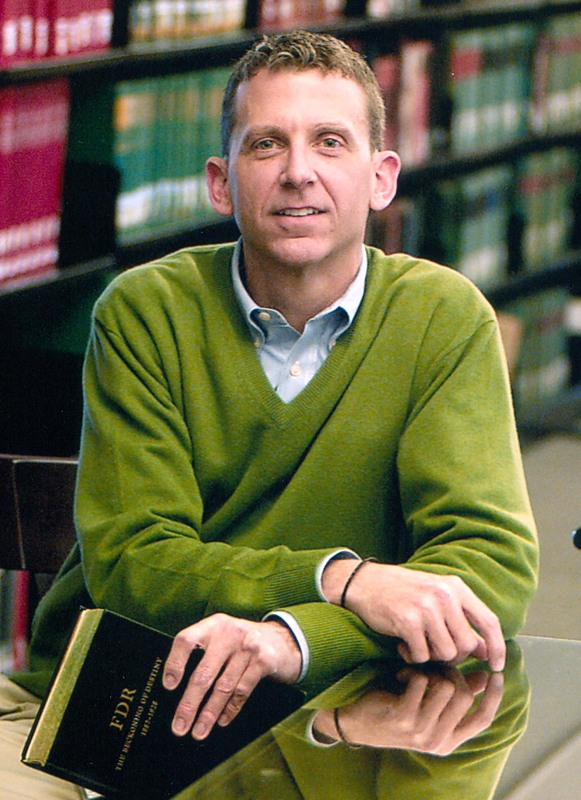 I know of no individual who has worked so tirelessly in support of the Roosevelt Library and its mission. We are forever indebted to Bill for his generosity and support. This is an exciting time at the Roosevelt Presidential Library. We are undergoing a major renovation scheduled to be completed in late summer 2013. As part of the last phase of renovation, the existing permanent exhibits will close on April, 30, 2012. This is the first renovation of the Roosevelt Library building since it opened to the public in 1941. While it will not change the historic exterior of the building it will bring its infrastructure up to National Archives standards for the preservation of historic collections. The renovation will include an exciting new permanent museum exhibit that will bring a new deal to a new generation. 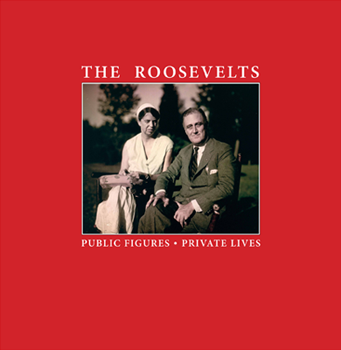 During the interim period we hope you enjoy our new exhibit, “The Roosevelts: Public Figures, Private Lives” — the largest photography exhibition ever assembled on the lives and public careers of Franklin and Eleanor Roosevelt. For more information about the new exhibit visit the exhibit information page on our website or read the press release.